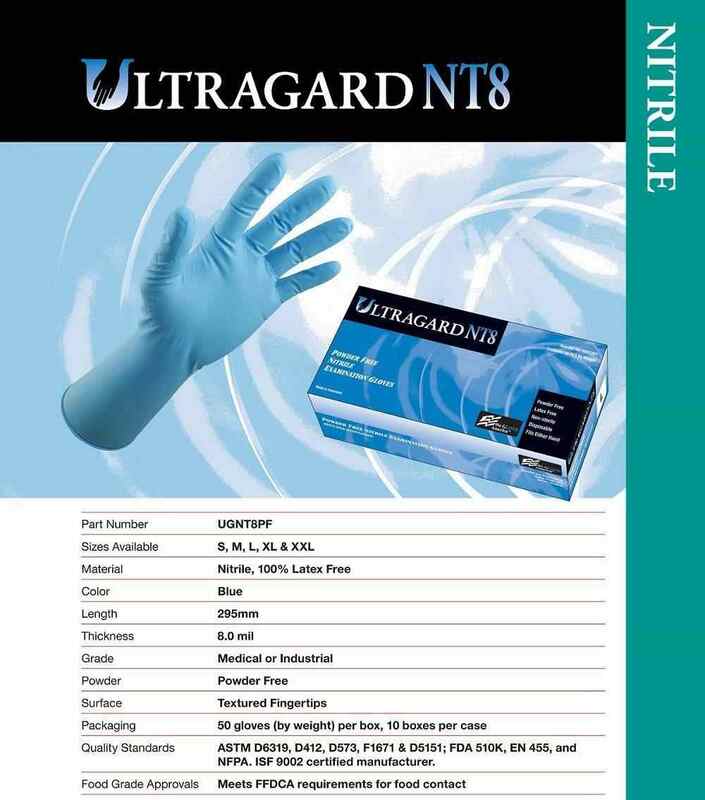 High Risk Nitrile Exam Gloves. 8 mil Thickness. 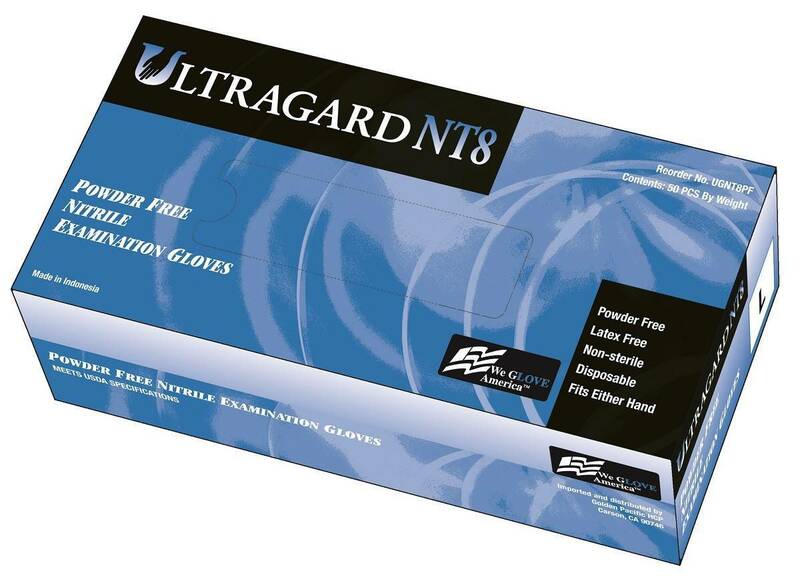 Powder free and 100% latex free. Fully textured for maximum grip. Extra thick for greater puncture & chemical resistance. Meets or exceeds ASTM, FDA & NFPA standards. ISO 9002 certified. Case: 10 boxes / 50 per box.